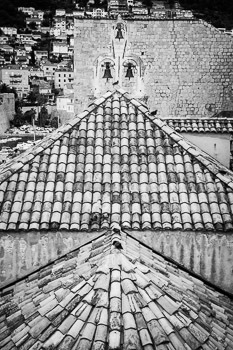 Beneath three bells in a tower, pigeons sit atop an ancient church in the Old Town of Dubrovnik, Croatia. Black and white photo. Prints available, click for a larger preview. A black and white Holstein Friesian cow meanders across a lush, green pasture in the Peak District of Derbyshire, England. Prints available, click for a larger preview. 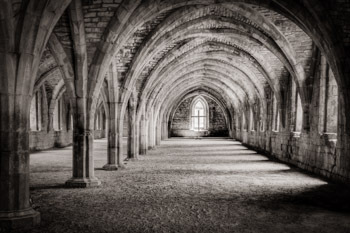 Daylight streams in through a circular window, raking across the stones of the high ceiling, in a small room deep within the ruins of the medieval Fountains Abbey in North Yorkshire, England. 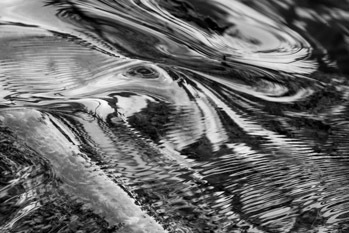 Prints available; click the image for a larger preview and online ordering. 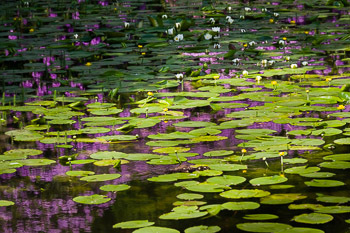 Purple rhododendrons reflect in the water between a mass of bright green lily pads, studded with white and yellow flowers. Näckrosdammen is a pond within a beautiful park on the campus of Gothenburg University. 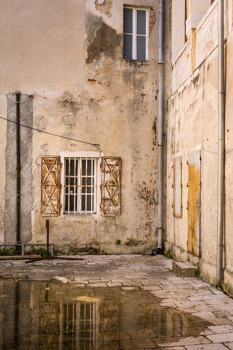 Prints available; click for a larger preview. 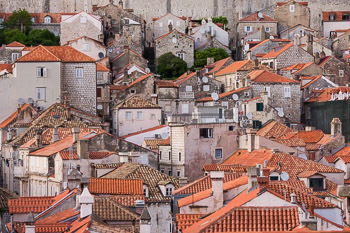 The city of Dubrovnik, known throughout the ages as Ragusa, is on the Dalmatian Coast of Croatia. 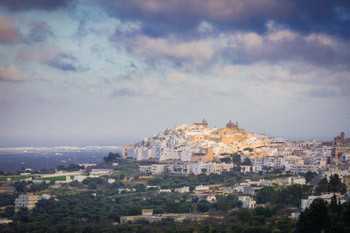 Founded in the 13th century, the city was an important Mediterranean sea power for centuries. 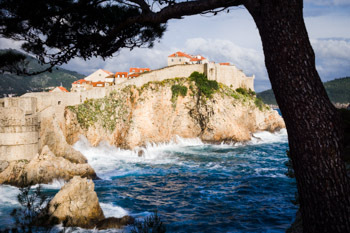 The Old Town is encircled by a high stone wall with many defensive and lookout towers. 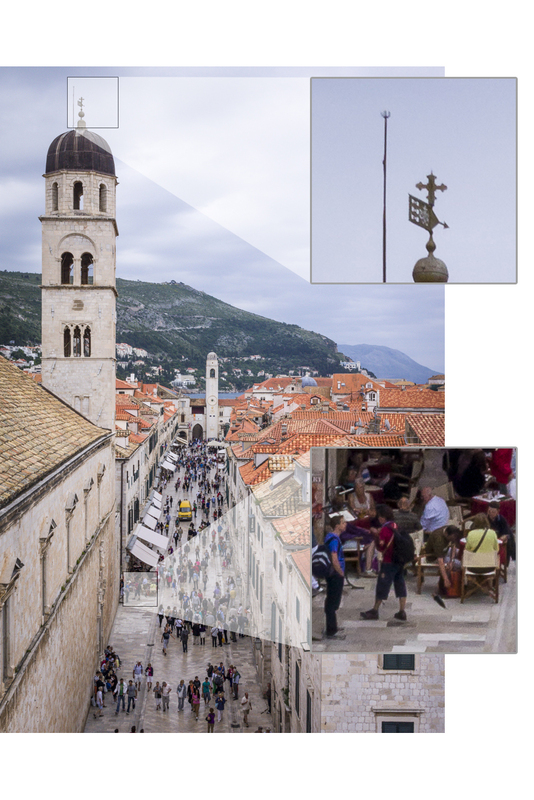 Dubrovnik is a well-preserved example of a late-medieval walled city and the Old Town is a UNESCO World Heritage Site. Prints available, click for a larger preview. 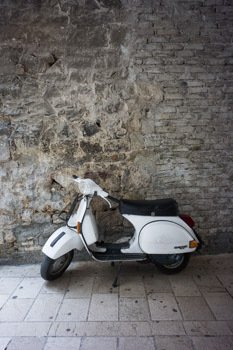 Lit with soft side-light, deep within the tunnels of Diocletian’s Palace in Split, Croatia a lone scooter epitomizes the character of the ancient European city. Prints available, click for a larger preview. 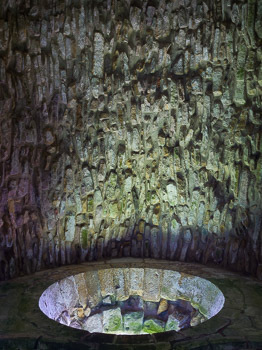 I made this photograph during our UK Photo Tour in June 2013. 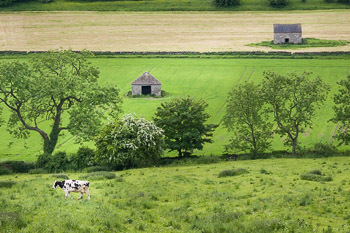 West Burton is a lovely, quintessential country village in the rolling hills of the Yorkshire Dales. 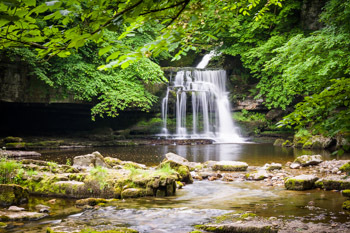 This nature photograph shows a graceful waterfall amid lush greenery. Also known as West Burton Falls, this lovely waterfall is just outside the village of West Burton. The falls are on a stream called Walden Beck, which joins Bishopdale Beck and eventually the River Ure. Available in color and black-and-white versions. Prints available in any size and on any material. 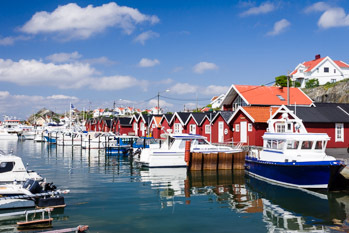 Click each image for a larger preview.